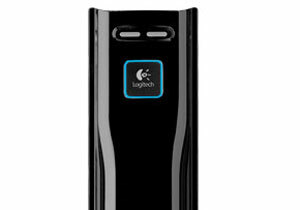 Banish late night remote control hunts with this clever Logitech all-in-one. It's great having a living room stuffed full of the latest gadgets, but with just about every gizmo coming with its own easily-lost remote control, parlour games of "hunt the ruddy remote" and "where's the chuffing battery gone?!" have become commonplace in some homes. 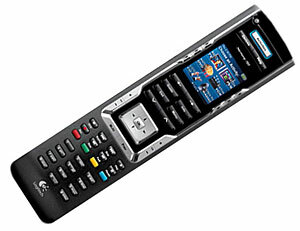 Last year's attempt to replace our flotilla of remote controls with a snazzy all-in one universal handset met with deeply disappointing results (see our One For All Kameleon 8 Universal Remote Control review), but we decided to wave a bigger wad at the problem and give the Logitech Harmony 785 Advanced Universal Remote a go. And we were impressed. 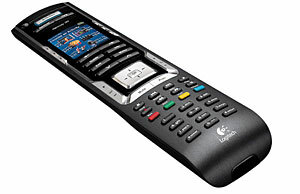 The slim-line, shiny black remote comes with its own recharging cradle, a backlit 2" colour display flanked by the main control buttons and several rows of hard plastic buttons (like a regular remote control). We definitely prefer 'real' buttons to the onscreen 'virtual' variety - years ago we had a Cambridge Audio universal remote and really grew to hate stabbing at the screen. Before you can start using the 785, you need to install an application on your PC and then attach the remote via the provided mini USB connector. Once hooked up, you simply tell the remote what gear you want to control (it can cope with up to twelve components) and it syncs over the necessary codes. With a claimed database of 75,000-devices, we had no problem loading up details of our components via a straightforward installation process, although it took quite a while (writing down the exact models names of all your gear beforehand helps - like great wallies, we kept constantly running up and down stairs to check). We were able to find remote codes for every device we threw at it, although the software can also 'learn' functions from other remotes. One of the real bonuses of the Harmony remote is that it lets you easily set up macro-like 'Activities,' so that one button press will turn on a sequence of items. Once we'd inputted our choices, we were able to point the remote at our TV, select 'watch PVR' and the Logitech would automatically turn on the amplifier and set it to the right audio channel as well as turning on the PVR and television. And pressing 'off' afterwards turns them all off too. Fantastic stuff! Also worthy of note is the superb onboard help system. If something hasn't turned on/off as expected (this happens occasionally), clicking on the help button will walk you through a series of screens to try and fix the problem. Another nice touch is that tapping the remote (or bouncing on the sofa it's sat on) automatically turns on the screen so it's easy to find the thing if you're watching a movie in the dark. For the duration of our test, we found the Logitech an absolute breeze although there were one or two things that could have been improved. The first is the printed documentation, or rather the lack of it: for £75 we expected a little more than a cheapskate folded glossy sheet of paper. The other gripe is the recharging unit, which didn't always connect to the handset, necessitating a bit of 'wriggling' until the charging started. 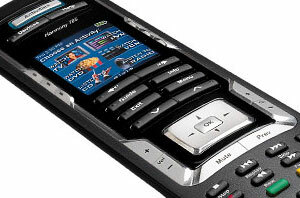 Although there's no shortage of cheaper universal remotes out there, the Harmony 785 has a compelling feature set that justifies its upmarket price tag. Instead of battling with an endless tag team of remotes, strings of components were turned on and off with a single button push and the help system was genuinely useful at solving rare hitches. The sleek design will look good in any living room and we thoroughly recommend it for anyone with multi-component set ups.